Last week I spent some word capital on my love of avocados; cashing in some bank – extolling the virtues of the amazing fruit that it is. This week, allow me to delve deeper. More times than not, when one hears the word ‘guacamole‘ they conjure up images of chunky bits of avocado, lovingly hugged up with tomatoes, onions, cilantro and lime. And in most cases I would venture to say that is the most apt description – It fits the bill of what most know as guacamole and that’s cool. But truthfully – it isn’t always the case. For me, growing up in Southern California, just across the border from Mexico, I was lucky enough to see Mexican food in many facets. Many of the dishes that ‘towed the line’ between the states and mexico were similar in theory but so different in both the execution and outcome. It made for an interesting dichotomy! So, when I think of ‘guacamole‘ I think of many versions of it – as it stands now I probably pull from about a half a dozen or so recipes when I’m deciding what works best for a given dish. As I knew and saw it – the chunky stuff was mostly found in restaurants and at family gatherings; you’d be hard pressed to find something resembling it at a taqueria on the side of the road. More than likely you’d find the version below. This is workhorse guacamole. Not only can it stand a bit of oxygenation but its also cost-effective and delicious. Granted the idea of this guacamole might be a little odd to some – it is essentially water and avocados but trust me, this is a necessity for your avo-arsenal. It isn’t necessarily a chip-and-dip type of guacamole; more of a slather-it-everywhere type. Have a go at it – let me know what you think. 1. Halve, scoop and roughly divide avocado (with spoon) into a blender. 2. Add your remaining ingredients and blend up – starting slow and working your way up. 3. Taste – adjust seasoning. NOTE: Add water a TBS at a time to thin out your guacamole but I like this ratio of water to avocado! Cheers to you, my fellow native Southern-Californian (is there any easier, shorter version of that phrase?)! Can’t wait to attempt this. 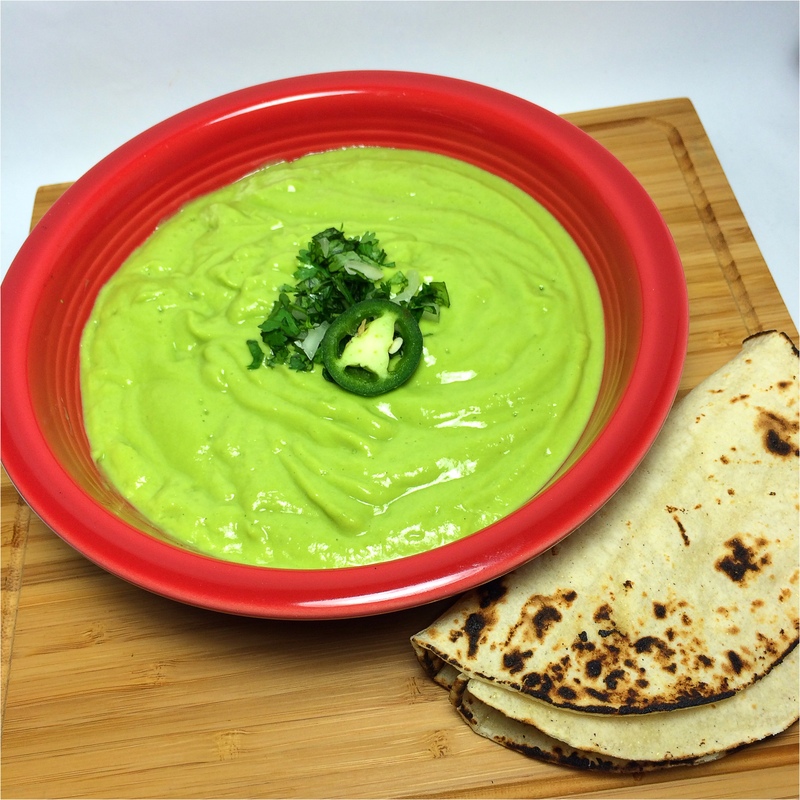 Love guacamole in all forms – including this one! You’re quickly becoming one of my favorite food bloggers, yay! and thank you!